Prefabrication is a method of producing standardised components off-site in a factory or workshop, that can be fitted together on-site. The components can be shipped flat packed or partially assembled and are not subject to fluctuating weather conditions when they are manufactured. Prefabrication was a solution where there were no suitable local materials, for example in the former colonies, where buildings had to be erected quickly or where there were skills and materials shortages. From the burnt clay bricks of the Mesopotamian civilisation to the ancient Romans who used concrete moulds for their aqueducts and tunnels to William the Conqueror who brought prefabricated sections of defences with him when he invaded England in 1066. As early as 1624 the English brought with them to Cape Ann a panelized house of wood for use by the fishing fleet and that this house was subsequently disassembled, moved, and reassembled several times. (1) This appears to be the first example of a ‘demountable’ house, one that can be assembled, deconstructed and reassembled. Prefabricated farm buildings and bungalows had been available since the early 19th century. Henry Manning, a London carpenter, produced the Portable Cottage in 1837 for export to Australia. The California Gold Rush of 1848 saw imports of prefabricated houses from Britain, Sweden and China arrive to house the 49ers. 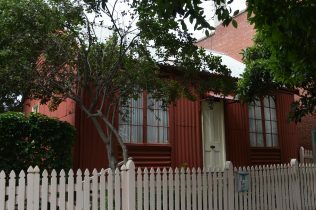 David also sent photos of an iron prefabricated house in Melbourne, Australia, which was manufactured and shipped from Britain in the 1850s. Many of these prefabricated iron buildings were manufactured by E T Bellhouse, at the Eagle Foundry in Manchester. The Crystal Palace, erected for the Great Exhibition of 1851 in Hyde Park, comprised prefabricated cast and wrought iron columns and girders, wooden frames and glass frames that were assembled on site. 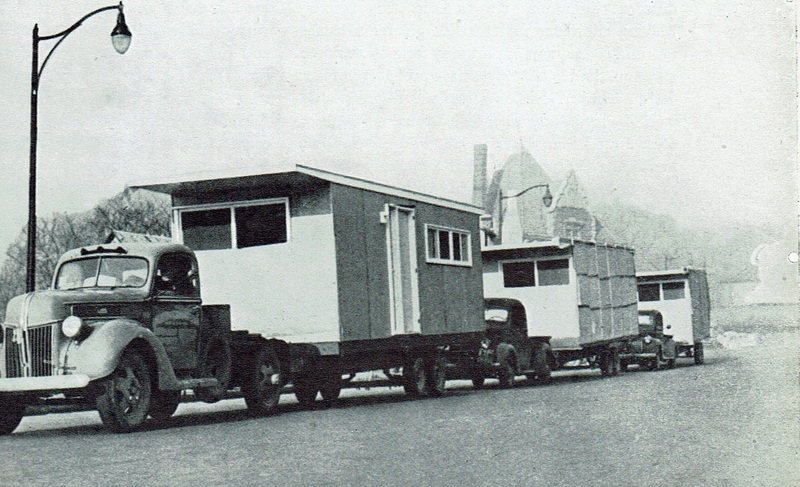 It was later moved to Sydenham so truly demountable! Simultaneously, prefabricated ecclesiastical buildings, commonly known as ‘Tin Tabernacles’ were manufactured. 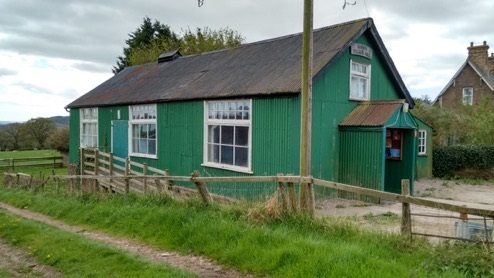 Towards the end of the 19th and into the 20th century, village halls were constructed from the same galvanised iron. After an appeal to the British Government by Florence Nightingale about the poor state of military hospitals, Isambard Kingdom Brunel designed Renkioi, a prefabricated wooden hospital that was shipped to the Dardanelles. In the latter quarter of the 19th century the Germany company Christoph & Unmack was producing prefabricated timber buildings for export. From the turn of the 20th century the American company Sears Roebuck supplied ‘Modern Homes’ mail order kit homes across the USA, along with several other companies. In Britain, the engineer John Alexander Brodie was at the forefront of promoting precast reinforced concrete as a building material that could produce houses quickly and cheaply. He also invented the football net! Brodie was the city engineer for Liverpool and erected the first experimental houses in Eldon Street in 1903. Brodie exhibited at the Cheap Cottages exhibition in Letchworth, Hertfordshire, in 1905. The motor manufacturer Austin, based in Birmingham, had to take on more workers during the First World War and in 1917 imported 200 prefabricated cedar bungalows from the Aladdin Company of Bay City, Michigan to house them. The Austin village survives as a conservation area. In other areas, prefabricated wooden ‘hutments’ were erected to house workers in the armaments factories. They were very basic accommodation, but some lasted until the 1950s. 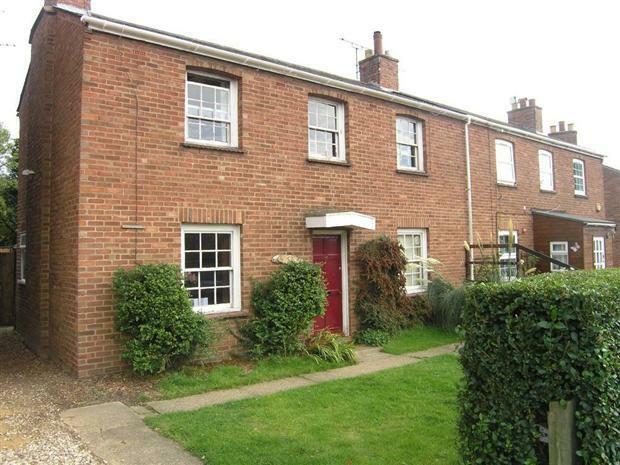 After the First World War, Britain needed to make good on its ‘Homes for Heroes’ pledge. A shortage of bricks and bricklayers and a surplus of steel encouraged innovation in building using partial prefabrication. 10,000 of the steel framed Dorlonco houses were erected between 1920 – 28, and 3,000 of the timber framed Weir houses. 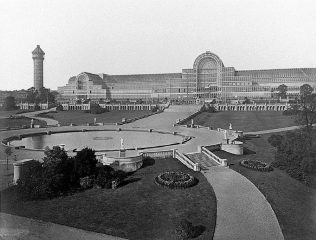 Neither have stood the test of time well, and interest in developing prefabrication in Britain waned in the late 1920s. Also in the 1930s and 1940s a number of experimental houses were created including copper faced houses. A number were exported to Haifa, Israel, where some still stand today. The metal worker and self-taught architect Jean Prouve designed a demountable house and the Maison Tropicale for export to France’s African colonies. An acute shortage of skilled construction workers and the need to provide semi- and unskilled jobs when the war ended. Armaments production in the factories coming to an end when the war was over. The Aircraft Industry Research on Housing (AIROH) had begun to make plans to convert factories to house production as early as 1942. Mass production techniques to manufacture homes quickly, and economies of scale to reduce the cost. The latter didn’t happen as the prefabs turned out to be more expensive than initially thought, due to costs not being incorporated. The Tennessee Valley Authority, created in 1933 under Franklin Roosevelt’s New Deal to build dams across the Tennessee River valley. 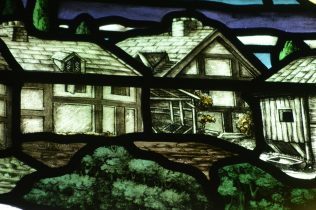 Temporary houses and towns were designed and constructed for the workers. The Frankfurt ‘fitted’ kitchen designed in 1926 by Austrian architect Margarete Schütte-Lihotzky for architect Ernst May’s social housing project in Frankfurt. In the United States a number of innovative prefabricated homes were created. The architect Buckminster Fuller had worked on a version of his Dymaxion house in the late 1920s and revisited it in 1945. The Lustron house was developed by Carl Stranglund in 1948 using prefabricated enamelled steel sections – it was vermin proof and never needed painting inside or out! A number of these homes survive. Today, full and part prefabrication is common in many buildings. In Greenwich, south east London, a fully modular 23 storey tower has been erected.